Traditional self-reports can be an unsufficiant source of information about personality, attitudes, affect, and motivation. What are the alternatives? This first volume in the authoritative series Psychological Assessment – Science and Practice discusses the most influential, state-of-the-art forms of assessment that can take us beyond self-report. Leading scholars from various countries describe the theoretical background and psychometric properties of alternatives to self-report, including behavior-based assessment, observational methods, innovative computerized procedures, indirect assessments, projective techniques, and narrative reports. They also look at the validity and practical application of such forms of assessment in domains as diverse as health, forensic, clinical, and consumer psychology. 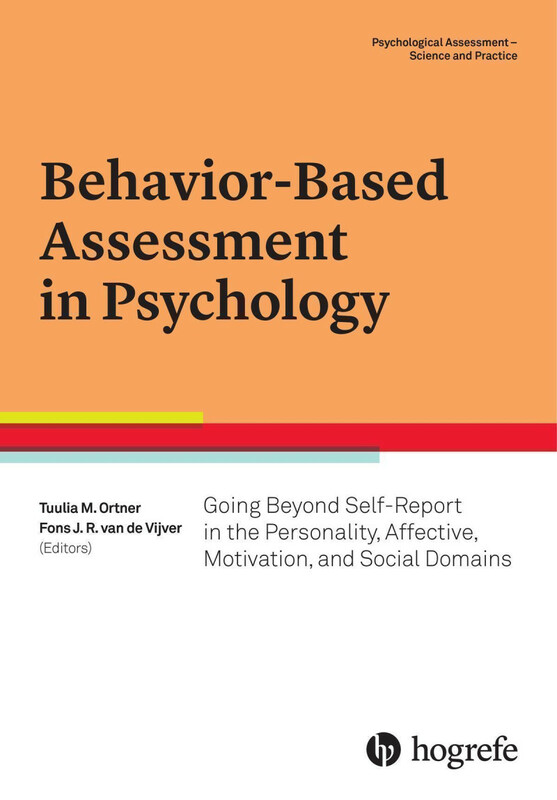 "This unique volume provides a comprehensive overview of many domains in behavior-based assessment, from developmental to forensic. Going beyond self-reports but avoiding biases of response style, it provides an interesting discussion of all major instruments and assessment procedures in the area.